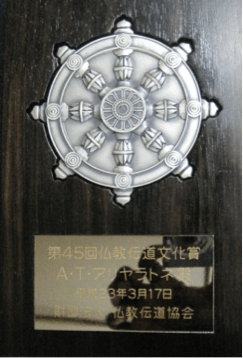 The Buddhist Association of Japan, Bukkyo Dendo Kyokai, honoured Dr. A. T. Ariyaratne, the founder-president of Sarvodaya Shramadana Movement by awarding the 45th Annual Cultural Award for the Promotion of Buddhism in the World in a ceremony held in Tokyo, Japan on 12th October 2011. 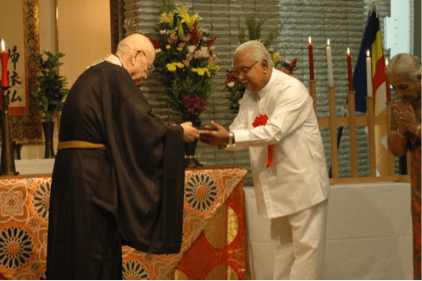 Dr. Ariyaratne was granted this award for his fifty-three years of work to the nation and the World with the Sarvodaya Movement. This work illustrates the World how Buddha’s teachings can be effectively used in modern times to build grassroots-up, non-violent, social, economic and political transformation around the World. 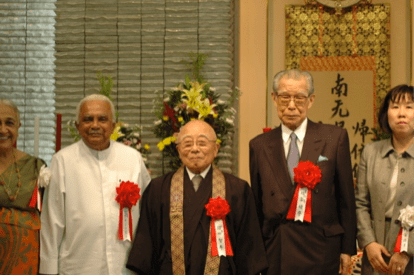 The late President J. R. Jayewardene was the only other Sri Lankan to receive this award in 1983. 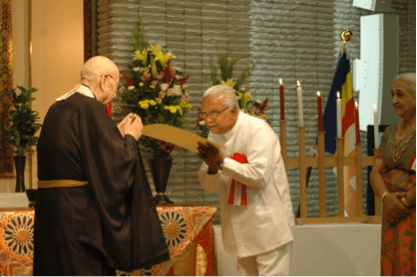 Next Next post: Dr. A.T. Ariyaratne turns 80 today!